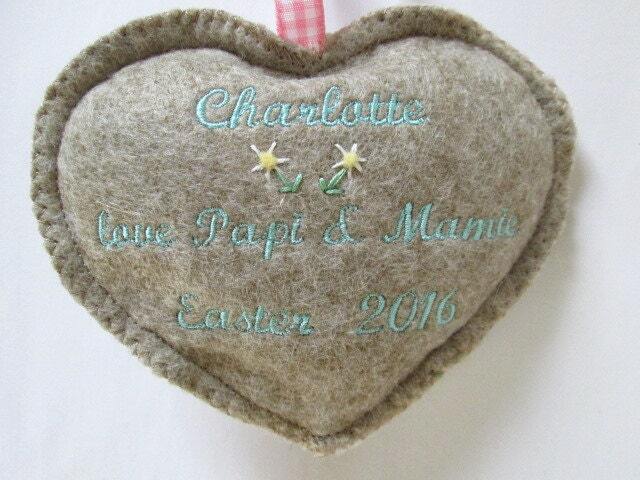 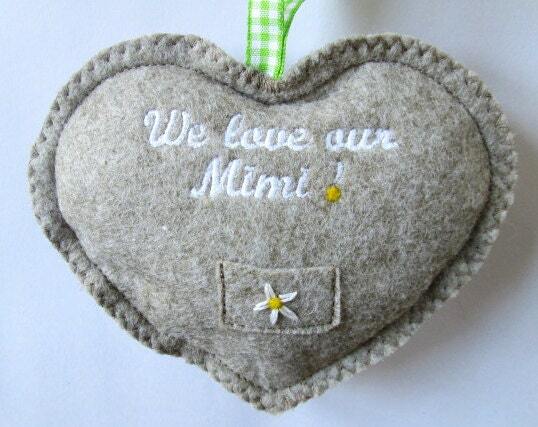 Wedding geese Personalized Wedding gift, Congratulations Heart decoration - needle felted love geese on felt heart with name. 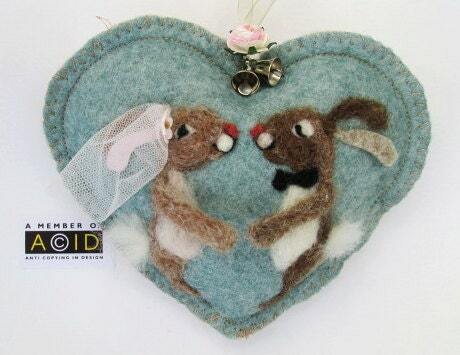 Wedding Bells for two love bells! 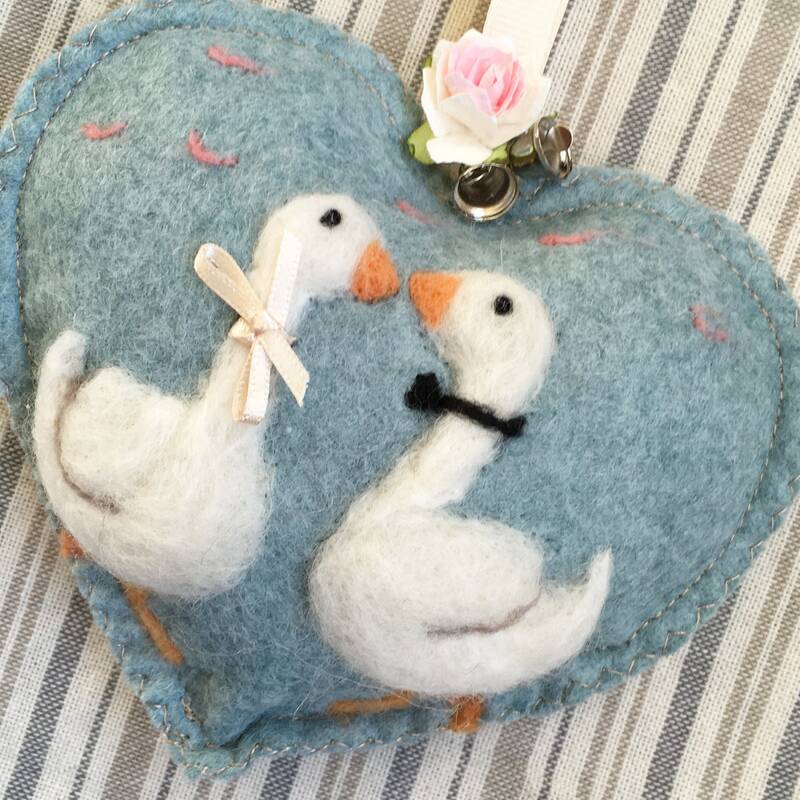 These two loving geese are needle felted with 100% pure wool in my original design. 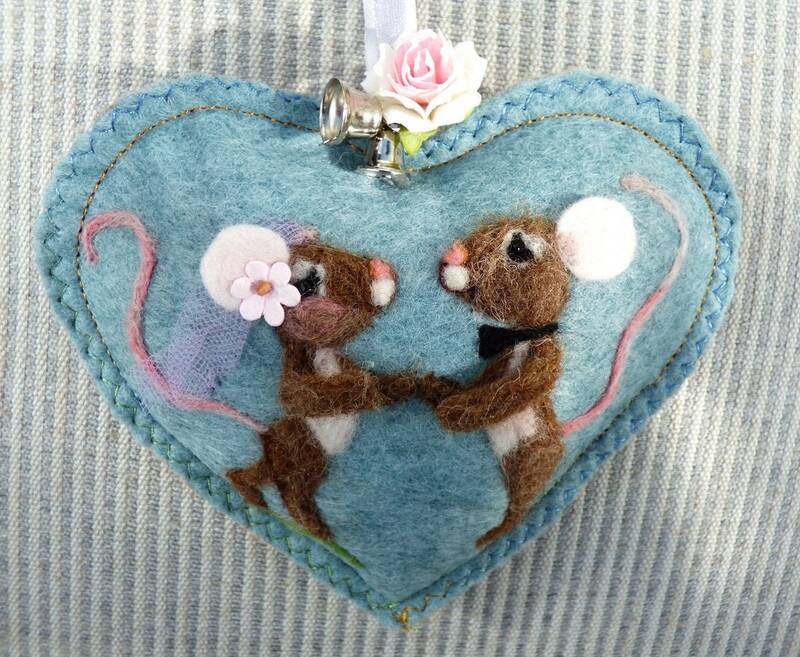 The top of the heart is adorned with ribbon two bells and delicate pink rose.